Within the first two seasons of joining Gloucester, the loose head prop alongside his Kingsholm front row colleagues, Phil Blakeway and Steve Mills had formed the England front row. 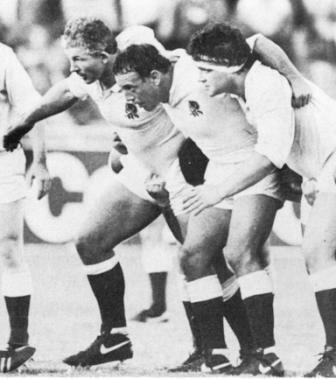 Preedy, born 15th September 1960 in Gloucester, was educated at Hucclecote Secondary School and began his rugby playing career at Longlevens RFC. It was from this club that at the age of 19 he joined the Kingsholm ranks. A member of the team that shared the John Player RFU Knock-out Cup in 1982, sharing the honours with Moseley in a 12-12 draw. Preedy went on the captain Gloucester in the 1986-87 season, when the team won thirty of their forty-seven matches, accumulating 969 points and conceding 583. During his career he also represented Gloucestershire, the South West Regional Team and England U23s.